The best thing about yesterday was discovering how well Platinum Carbon Ink performs on Moleskine paper and in a cahier at that. 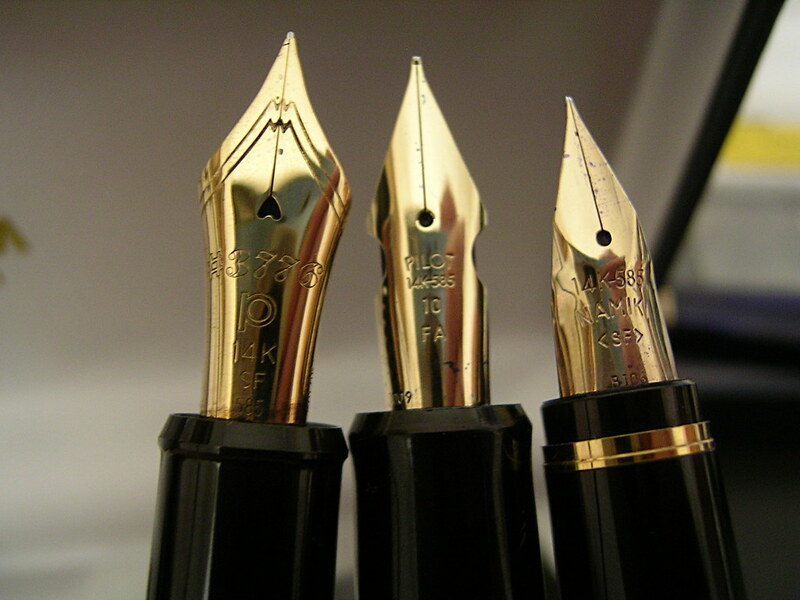 The Plaisir is perfectly tuned for the ink so using this trio is a real pleasure. The second best thing was UPS delivering a package by bicycle. That was a first in my neighborhood and quite a sight. The “chocolate man” as my daughter used to call him, rode away too fast for a photo, but the event was good for a chuckle in an otherwise mirthless day. 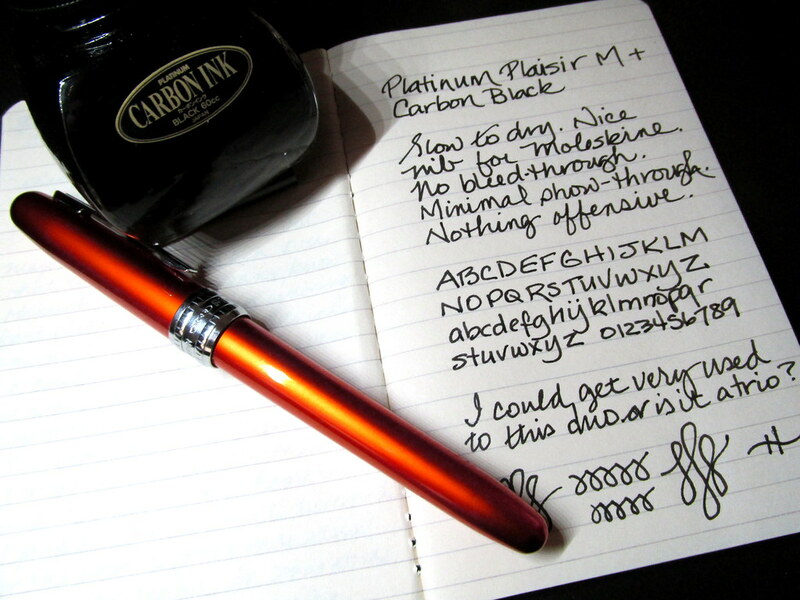 A chance meeting of a Moleskine notebook, a Pilot MR Metropolitan medium nib, and Sailor Tokiwa-matsu ink revealed a very acceptable partnership. Almost no feathering and so little bleed-through as to make the backs of pages useful makes this a winning combination. I am not a huge Moleskine fan, but in this case, paint me happily surprised. Note that the left hand page was not written with Tokiwa-matsu. It produced far less ghosting and bleed-through than pictured. 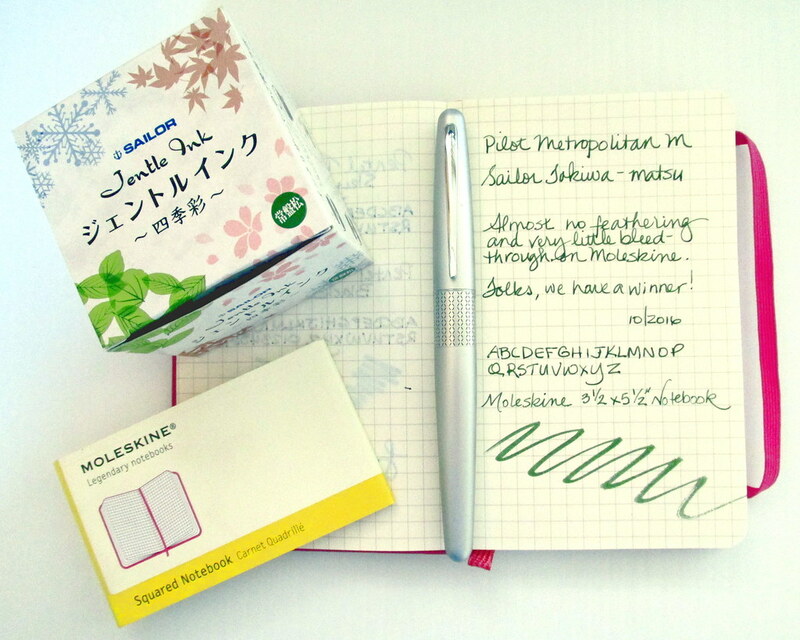 Moleskine, Pilot Metropolitan and Sailor Tokiwa-matsu at Amazon. The Pentel Touch Sign Pen (SES 15C) with a flexible nib is amazingly smooth on Tomoe River paper. 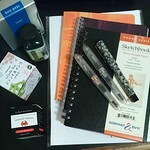 That means the Midori Traveler’s Notebook (013) is a good mate. Note there is ghosting as happens with most pens on such thin paper. Bleed-through only occurs when I overwrite to darken the color. Otherwise, there is none. My review from a few weeks ago was on Moleskine, but I wanted to show how well the Touch Pen and Tomoe get along. 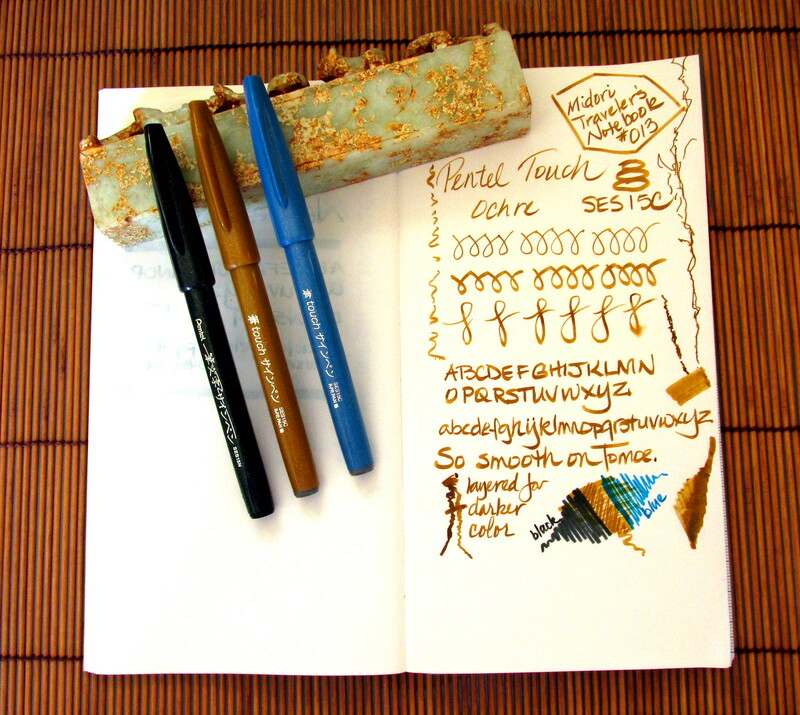 The full set of pens is still on my list, but for now, the black, sky blue and yellow ochre make a nice trio. At least one of them will work on every paper in my stationery collection. That makes my three pens practical as well as a lot of fun.